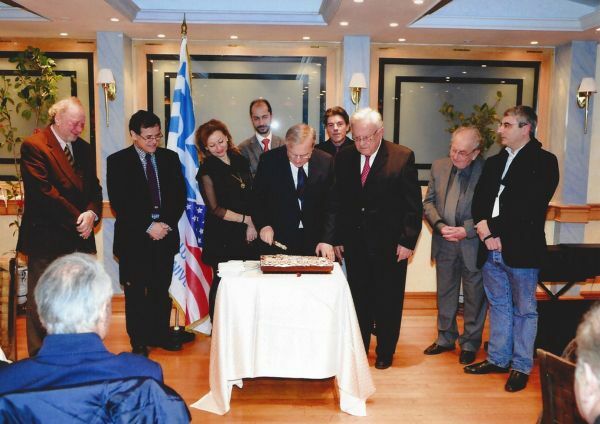 The Board of Directors of the Association of Greek Alumni of American Universities has the honour to invite you to the traditional celebration of the cutting of vasilopita, on Wednesday January 14, 2015, at 7:00 p.m. on the 8th floor of the Hellenic-American Union, at 22 Massalias street, Kolonaki, Athens. During the event will be honoured the member of the Academy of Athens, professor of Meteorology and Climatology Dr Christos Zerefos. Your presence will be of great pleasure to us.